HCG (human chorionic gonadotropin) is sold in the form of a glycoprotein powder, which is diluted with water and taken as intramuscular or subcutaneous injections. It acts in the body as a luteinizing hormone (LH), stimulating the testes to produce testosterone, even when natural LH is absent or insufficient. Therefore, it is useful for maintaining the production of testosterone and / or the size of the testicles during the steroid course. In addition, in the absence of courses of taking steroids or in the interval between courses, it can be very useful to increase the production of testosterone. Whether this will be achieved depends on the ability of the testes to actually produce testosterone in large volumes with increased stimulation. In the case when the development is limited by the testicles themselves, the administration of hCG will not have any effect. Inclusion of hCG in the hormone replacement therapy program (HRT) gives better results than the use of testosterone alone, if it is important to maintain the level of sperm production and / or the normal size of the testes. The use of testosterone alone can lead to infertility or decreased fertility, as the normal function of the testicles depends on higher intratesticular levels of testosterone than those achieved by such use. As for the use of steroids, hCG should either not be taken at all during post-course therapy (PKT), or taken in an accurate dosage, so as not to interfere with the recovery, which will be discussed below. For post-course recovery of LH production, it is necessary that the androgen level again decrease to its physiological range. When using medium or long-term esters, this process is slow. For example, let’s assume that the half-life of some testosterone ester is 7 days and that the course used a dose of 800 mg per week. In this case, a week after the last injection, the level of androgens will be similar to that if for a while you took 400 mg weekly, and then injected another 400 mg. Two weeks after the last injection, the androgen level will be commensurate with the level achieved with a regular intake of 200 mg per week. And hCG during this period is not used. By this time, when you receive Clomid or Nolvadex, a slow recovery usually begins. But, if during this period to use hCG or to start taking from this point, the testosterone level will be similar not to what is achieved with the regular use of a dose of 200 mg / week, and this level plus another 100-200 mg per week of the equivalent increase due to use of hCG. This will prevent the recovery of LH production. It is better to take hCG during the course to maintain testicular function, so that the testicles begin to react to LH, once its production is restored. This will also save the size of the testicles and slightly increase the amount of testosterone, by stimulating its production of hCG. The latter will not be of great importance when a significant number of steroids are used weekly, but can have a very significant effect if the total number of steroids taken in milligrams is small. Chorionic gonadotropin, as studies have shown, is ineffective for admission with an anabolic goal in bodybuilding. This is due to the fact that it can provoke numerous problems. 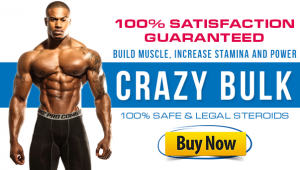 The stimulation of the synthesis of testosterone, provided by this drug, is much less than in other synthetic forms of this hormone fitness bikini, and the side effects are much higher. Therefore, many are wondering about why, and then why take HCG. Its main advantage, which the bodybuilder receives when taking it, is preventing the atrophy of the testicles. The usual single dose of hCG used to be 5000 MED. Although the level of hCG in the blood corresponds to a significant overdose, at least during the first week after the injection, this dose has become widely used in medicine, since in many cases it is more desirable to do only one injection or do it infrequently than to require clinic visits two and more times a week for injections. And in view of the fact that the half-life is only a few days, a very high initial level is required to obtain a longer duration of action of one injection.